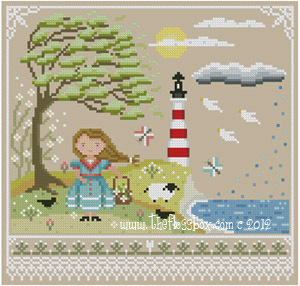 This entry was posted in Community, Embroidery, Online Shops, Samplers and tagged embroidery, Frankenstorm Sandy, Freebie, Giveaway, Hurricane Sandy, The Floss Box, time limited offer by Julie. Bookmark the permalink. I liked it, because I do : ) even though I am first instead of 13th. I think I might purchase one too, I think it would make a nice gift for my daughter. It is nice and affordable, too, at $5 for such a good cause. Emily gets the pattern out VERY quickly. Sure would enjoy getting yhis..my first hurricane amd i missed it- came back to Oregon. If I don’t have less than 13 comments/likes by November 12, we’ll do the random number generator thing! So don’t give up Sue and Rhonda! What a good idea! And such a cute pattern … I may need to stitch one for my friend, Sandy. She’ll get a kick out of it. It is cute, looks quick to stitch up, too! I’m sure I’m not the 13th, but I am a Sandy survivor. I was able to save my embroidery machine, but all of my thread is gone not to mention the water soluble stabilizer. Our house will be torn down soon and it doesn’t look like insurance will cover rebuilding.